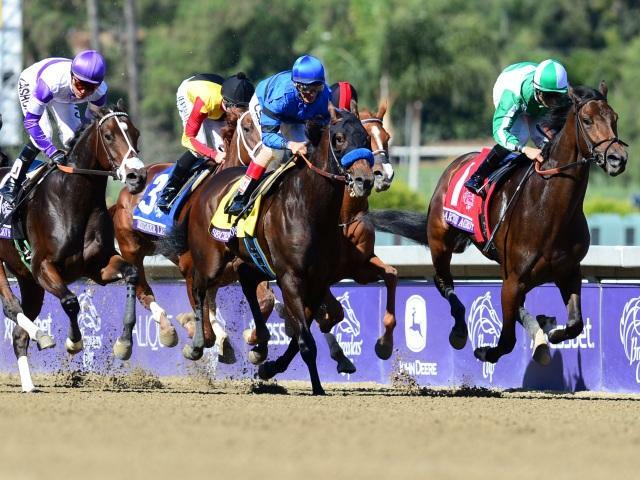 Timeform's US team pick out the best bets on Saturday. "Sweetsoutherndame might well be a bit of value against forecast favourite Mi Tia in the sixth race (00.40 GMT) at Turfway Park." Raspberry Ala Mode got back to winning ways on his first start for Robertino Diodoro at Turf Paradise last time presented with an easier task than usually faced him previously at Santa Anita and is favourite to follow up in the second race (20.52 GMT) at the Arizona venue. Razorbill, who has also been in action at Santa Anita recently, is the better racehorse however as his record shows and on the back of a good fifth here last time in a warm race can emerge on top for his in-form yard. In the first race (22.00 GMT) at Penn National Candelabra looks something of a false favourite and the recommendation is Laundry Jack. The selection is top on both Timeform ratings and TimeformUS speed figures, is far the most consistent of these and looks sure to get things her own way in front now contesting a much weaker race than usual having been claimed on her latest start. Sweetsoutherndame might well be a bit of value against forecast favourite Mi Tia in the sixth race (00.40 GMT) at Turfway Park. The favourite comes here on the back of a six-length win in a maiden claimer when she drew clear off a soft lead. She might well be open to further improvement but this race is a hike in class and the selection has the class to capitalise. She did well to close from off a slow gallop when second in a similar race last time and the likely breakneck pace on here should play much more to her strengths.